You have a choice when preparing for the bar exam. The following information will assist you in making an informed decision—the decision that is right for YOU. What is the biggest difference between Pieper and BarBri? How are you different from all other competitors? How do I choose whether Pieper is the right course for me? I’m thinking of taking Pieper, but would be relying exclusively on the recorded lecture videos; will I be missing out on anything if I am not in the live class in Manhattan? Does Pieper prepare its students for the Multistate Bar Exam? If I’m signed up for Pieper, should I take a supplemental MBE class like Emanuel’s or Kaplan/PMBR? At what time do the lectures take place? What can I do to prepare for the exam prior to the start of the Bar Review Course? What happens if I miss a class during the Bar Review Course? Should I attend my law school graduation if I have a Pieper class on the same day? Can I work full time or part time while studying for the exam? Will Pieper credit me money I’ve paid to another bar review company if I want to switch to Pieper? What are the biggest differences between Pieper and BarBri? There are no shortcuts when you study with Pieper. Pieper assumes that you know nothing about the given subject, which is helpful for anyone who had a law school professor who did not cover all of the material or simply didn’t convey the material clearly. It is also especially helpful for students coming from other states and foreign-trained lawyers. Pieper starts with the basics, and then builds upon them. You never took criminal procedure in law school? Your trust and estates professor never covered (or explained so you could understand) the rule against perpetuities? You have no idea what Conflict of Laws rules involve? No problem. Pieper is the course for you, and it will teach you so that you are fully prepared. In order to provide you with that much teaching, you will be in class for more than 150 hours. That’s a lot of class time, but your dedication and effort will make all of the difference on exam day. As a Pieper student, your primary study material will be your class notes. Just like in law school, you’ll listen to, digest, and transcribe the rules of law necessary to pass the bar exam. The most essential rules of law are given to you to take down verbatim so that you will know them cold on the exam. These rules are then reinforced by examples from recent cases, in-class practice questions, and hypotheticals that will help cement your understanding of difficult concepts. Class is not a supplement or cursory overview. To the contrary, it is where you will be learning. Though Pieper will provide you with over 1,500 pages of outlines, Pieper expects you to rely on these material references should you find yourself wanting additional examples or background information on a particular subject. When the course finishes, you will have hundreds of pages of notes, regardless of whether you typed them or wrote them by hand, and you will rely upon those to study. Our competitors have an entirely different method of providing their information. They provide their students with outlines they are expected to review before class, and they do not focus on note-taking. Rather, they provide their students with handouts in class with which the students are expected to follow along and then fill in the blanks during and after class. Necessarily, their students are left to learn on their own, outside of class. Quite differently, we know that our class and its emphasis on note-taking keeps our students focused for the entire class, enables us to be there with them throughout the learning process, and facilitates students’ recall of the critical material. 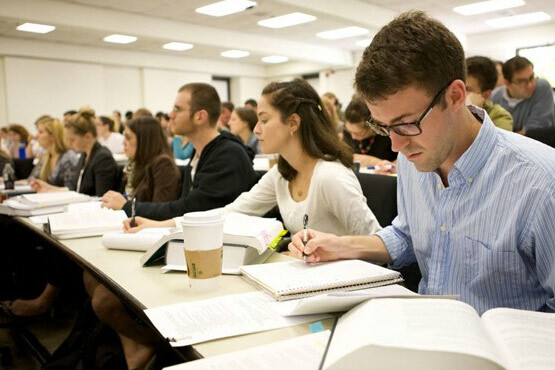 While every student, even those who are at the top of their class, occasionally finds himself or herself inclined to think about their weekend plans, an upcoming movie, a significant other, or a ballgame during a substantive lecture, our students are focused on the material when they are taking notes, and they’re learning the law through doing it. As part of Pieper’s Bar Review Course, you will be invited to take part in Pieper’s Essay Writing Workshop and MPT Program, where you will learn the fundamental techniques to writing the type of thorough, well-organized essays and MPTs for which the bar examiners are looking. In addition, you will be expected to complete 12 essays to be graded by our trained staff of New York attorneys, who will also provide extensive written comments on the substance and organization of your essays to help you improve. Our books contain hundreds of other essays that we’ll encourage you to actually write, especially if you are struggling with a particular subject. While our competitors grade some of their students’ essays, many simply provide a number grade without constructive comment and/or encourage outlining practice essays rather than writing them. Pieper believes that the experience of actually writing out essays will ingrain in you an understanding of the level of legal detail that you can (and cannot) include in a bar exam essay or MPT within the allotted time. 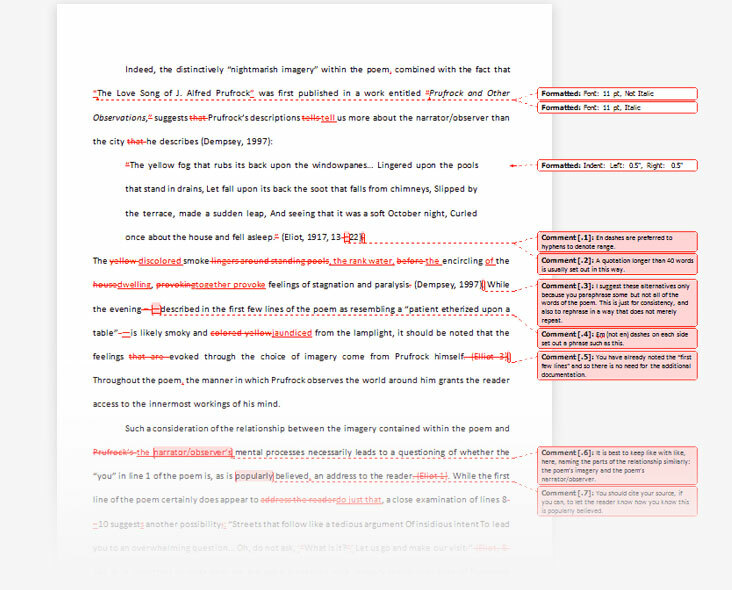 It will take you more time to write (and us to grade) an essay than to outline it, but Pieper is not about shortcuts. Being able to choose which legal rules and exceptions to include is a skill that we teach, reinforce, and refine throughout our classes, and which you will master through your practice. Experience and Consistency. When you choose to study with Pieper, you’re working with an elite team dedicated to preparing you for what will be the most challenging exam you have ever taken. As you progress through new material, you’ll compare it to concepts that you covered in prior lectures so that you understand the big picture while reinforcing the details in your memory. Most importantly, Pieper will focus your understanding on the most difficult and most essential material that you’ll need to pass the exam. As you take your seat for the bar exam, you’ll know that you are prepared to pass. One of the major challenges to succeeding on the bar exam is being able to understand and apply the many concepts tested, while also remembering key elements and details. To help remember these key details, Pieper has developed a series of mnemonics that will help you to recall details faster during the exam. So, if the bar examiners pose a question on longarm jurisdiction, substantial performance, or the liability of a landlord, you’ll know mnemonics like DIAL C, HAIL, and POLICE to help jog your memory and write a more thorough, complete answer. Whether or not you need to rely on such memory devices, it’s comforting to know they are there. Pieper is not the biggest, but it is the best bar review course. Pieper’s size is one of its strengths, in that the Pieper staff is trained to have a particularized knowledge of the bar exam and will always be available to assist you personally. You can send your bar exam questions to our staff attorneys at any time, on any day. Many Pieper students get to know members of the Pieper staff on a first-name basis and find the support of the Pieper staff takes some of the pain out of studying for the exam. John Pieper began Pieper Bar Review in 1975 and has since prepared countless students for the bar exam. He has passed the bar exam in 32 states, and having taught every subject covered on the exam for more than 40 years, he is the expert on the bar exam. He has been joined in the last ten years by his two sons, Troy and Damian, who share his unparalleled commitment to your success on the exam. 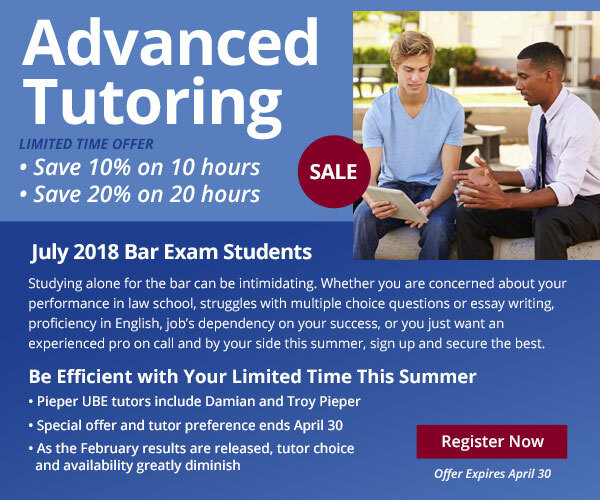 Each year Pieper students rely on the ability of these experts to cover and integrate all of the substantive information along with the practical skills necessary to succeed on the bar exam. Together, the Pieper family support you in ways that our competitors cannot. Though it is never too early to start thinking about the bar exam, many law students put any bar exam considerations on the back burner until the very end of their last semester of law school. Even then, especially if they have placed a deposit with a bar review company, students frequently give little consideration to their options for preparing for the bar. Therefore, what you should be doing throughout law school is asking New York lawyers how they prepared for the exam and whether they liked the company they studied with. Ask lawyers at your summer jobs, ask lawyers in your family, ask lawyers where you live, and ask alumni at your school. They are former bar review customers of Pieper and other courses, and they have the best information in the form of unbiased opinions. The people who can even better evaluate bar review courses are attorneys who were unsuccessful on their first attempt at passing the exam and actually have taken both Pieper and BarBri. Listen to what they have to say. They can tell you the strengths of each program, and we’re confident they’ll tell you why Pieper is the best. Try Pieper to prepare for the MPRE. It’s free! As you are likely aware, forty-eight states require that you pass the Multistate Professional Responsibility Exam before you they will admit you to the bar (New York requires a score of 85 or above). To prepare you for the exam, Pieper offers a free MPRE class three times a year. Take both. While it may seem like overkill, you’ll have twice the exposure to the material and you’ll have great insight into the differences in how Pieper and other courses operate. That’s how you can make an educated decision. Moreover, if you decide after the comparison to sign up with Pieper for your bar review course, you may be entitled to a credit with us for nonrefundable deposits made with one of our competitors, so it won’t cost you anything to see which course works best for you. Why you need to choose wisely: One of the most important things you can do for yourself as a third-year law student is to make sure you have signed up with the best bar review course suitable for you, and avoid realizing four weeks into your bar review program that another course may be better suited to your needs. Take some time now to investigate the differences and make the better choice. You want to make the right choice on your first try, so your first try is your only try. Absolutely not. Each bar review course lecture is digitally recorded. 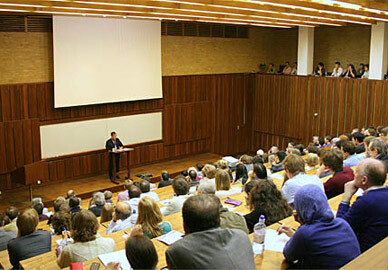 Students relying on recorded lectures hear every word of the live lecture. The only difference is that before and after the live class, students are able to ask the lecturer questions. But this difference is easily overcome by email and telephone. Our staff attorneys can always assist you, and if for any reason they don’t know the answer right away (for example, if the lecturer made a comment in passing about a personal experience), they’ll be able to get the answer for you. For this reason, if you live and work outside of Manhattan, you are probably better off attending one of our video classes at a location closer to home so that you’ll save time commuting to each lecture. You’ll see once you start the class that your time becomes a precious commodity. Many of our former students who lived outside of Manhattan and started at the live class have chosen to switch to another location after several classes and found that the cutting down on their commute provided them with a lot more time to study. Again, we’re flexible—start at the live class, because you can always switch to lecture videos if you change your mind. Of course. For 40 years, Pieper has specialized in helping law students pass the New York Bar Exam, which has always been comprised of the MBE. As of February 2016, Pieper shifted it’s training from the New York Bar Exam to the Uniform Bar Exam. If I’m signed up for Pieper, should I take a supplemental MBE class like Adaptibar or Kaplan/PMBR? There’s no need to, but in the end that’s up to you. Pieper will provide you with all of the substantive law you need for the MBE portion of the exam, and will also provide you with more than 1,200 simulated MBE questions, including two full-length exams of 200 multiple-choice questions each, plus every question released by the National Conference of Bar Examiners in the past ten years, through which you will be able to refine your techniques for answering such questions. Therefore, you will not need a supplemental course to prepare you for the MBE. That said, some students, especially those who have the financial resources and have traditionally struggled with standardized, multiple-choice exams, find the additional practice beneficial. Each four-hour lecture at the live class begins at 5:30 p.m. and ends at 9:40 p.m., with a ten minute break at 7:30. Every video class location meeting in the evenings follows the same schedule. Video class locations that meet in the mornings meet at 9 a.m. and end at 1:10 p.m., with a break at 11:00. Take law school classes in areas covered on the bar exam. Take a for-credit bar review class if one is offered at your law school (we have been hired to teach such a course at law schools in New York). Visit the New York State Board of Law Examiners’ website www.nybarexam.org and the National Conference of Bar Examiners’ website www.ncbex.org to get an idea of the format of the exam and the types of questions you will face. Make it up at home on iPass. In the event you miss a class or classes during the Bar Review Course, you will be able to view the lecture online through iPass, our on-demand streaming video system. Absolutely. Graduations are a wonderful celebration of the hard work and effort you put in over three or four years of law school, and you’ve earned the right to stand in front of your classmates and your professors to be recognized as a lawyer. And even if you are hesitant to go to a public ceremony when you have so much studying to take care of for the bar, attend your graduation for the people in your life who care about you. The graduation is for them, as much (if not more) as it is for you. It is an incredible day for a parent, a spouse, a significant other, or a child to see you receive the degree that you, and they, have sacrificed so much to obtain. Can I work full-time or part-time while studying for the exam? Yikes! If there is any way you can avoid working, don’t work while you are preparing for the exam. The bar exam requires hundreds of hours of studying, and every hour you spend preparing for the exam will increase your chances of passing. However, many of us with loans, mortgages, families, responsibilities and expenses worked upwards of 40 hours a week during law school and know that we will be required to work while preparing for the bar. If you are one of those people, you will have to be extremely efficient with your time, but you can certainly still pass the exam. Yes. Many law students get pressured to sign up for a bar review course as early as their first week of law school when they haven’t had the opportunity to evaluate what bar review course is right for them. Other law students don’t even realize that there is an alternative to the nationwide bar review programs that are offered in their states. If you are a first-time bar exam candidate and fall into either of these categories, or if you’ve simply decided it’s time to switch to Pieper, we make it simple. Just sign up on this website or give us a call at 1.800.635.6569 or 516.747.4311. When you send us documentation that shows you made a non-refundable deposit with another full bar review course for the UBE, we will credit your Pieper account that dollar amount.